Headaches or Migraines? Read this! Headaches or Migraines? You are NOT alone. There are an estimated 4.5 Million Canadians who suffer from headaches and migraines. 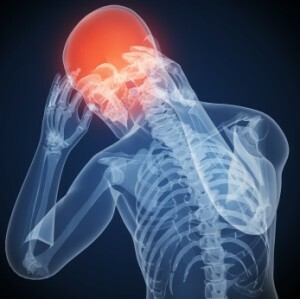 In my Newmarket chiropractic office, I see hundreds of people suffering from these debilitation headaches and migraines and I understand the impact that these have on people’s lives, as I once suffered from terrible migraines myself. They prevent you from enjoying life, working, and even completing simple daily tasks such as caring for your family. For most, the only relief comes from medication, that will help manage the pain, but not the cause. The pain always come back. In my experience I find there are many things that can aggravate headaches and migraines such as stress, diet, and even the weather. When I was suffering from migraines in my teens, my triggers were weather changes and fatigue. What most people mix up is thinking that an aggravating factor is the cause of their problem. Not so. More and more evidence is showing that often the cause of headaches and migraines originate from the structures in the neck – bones, nerves, ligaments, blood vessels and muscles. If there is damage to any of these structures, then other factors like food sensitivities, stress levels, or weather changes can result in a headache or migraine. But without underlying damage to neck structures, the provoking factors alone do not typically cause a headache or migraine. Another example of an aggravating factor is how a change in the weather will often “flare-up” arthritis, but weather alone is not the cause of arthritis. In order to rid you of your headaches or migraines, one must first find the cause. Of course if you could avoid all of the aggravating factors all of the time, that would help you manage your pain, but that is unrealistic even with the best intentions. Finding out if there is damage in the neck structures responsible for your pain is the key to successful resolution. One of the simplest and quickest ways to know if damage in your neck is the cause of your problem is a specific upper neck x-ray. As well, neurological and orthopedic testing can also help determine whether your neck is healthy or not. Once the cause is found, treatment is focussed on the damaged tissue. Usually a series of SPECIFIC adjustments, soft tissue rehabilitation, and ligament stretch is all it takes to fix your problem. How Would Damage Have Occurred? If you have ever had any trauma to your spine – slips/falls, car accidents, sports injuries – any sudden impact – could have caused the damage. More commonly in these modern times we find prolonged postures in front of computers, TVs, and other media can cause “micro” damage over time, slowly damaging the pain-sensitive tissue resulting in neck pain, headaches, or migraines. Once the cause of your pain has been identified, you can work on a strategy to correct the problem and get your life back. I know firsthand what being free of migraines can do for a person’s quality of life. In fact, I am a chiropractor today because chiropractic was the solution that helped me become pain free – it may just be the thing that does it for you too.